Ride brooms, cast spells and transform your opponents into chickens in this intense magical sport. 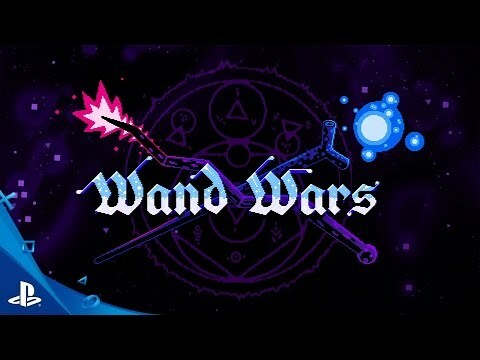 Wand Wars is a fast-paced, top-down, magical sports game. Players ride brooms over ancient arenas, cast arcane spells and turn opponents into adorable chickens. Try to control a deadly magical sphere that bounces around the arena, increasing in speed and size over time. The game's epic stages, colourful characters and quirky powerups generate competitive gameplay that is incredibly fun to participate in and spectate. Hone your skills and uncover the magical universe of Wand Wars in the story mode. Battle your way through the unlimited chaos of the endless trials and enhance your abilities using magical cards. Challenge your friends or the computer in 5 exciting local multiplayer modes across 10 unique arenas.